Much more than a Hebrew language course! This anointed teaching by a Messianic Jewish Israeli morah (teacher) will reveal unique insights from the Word of God through the original language of the Scriptures. 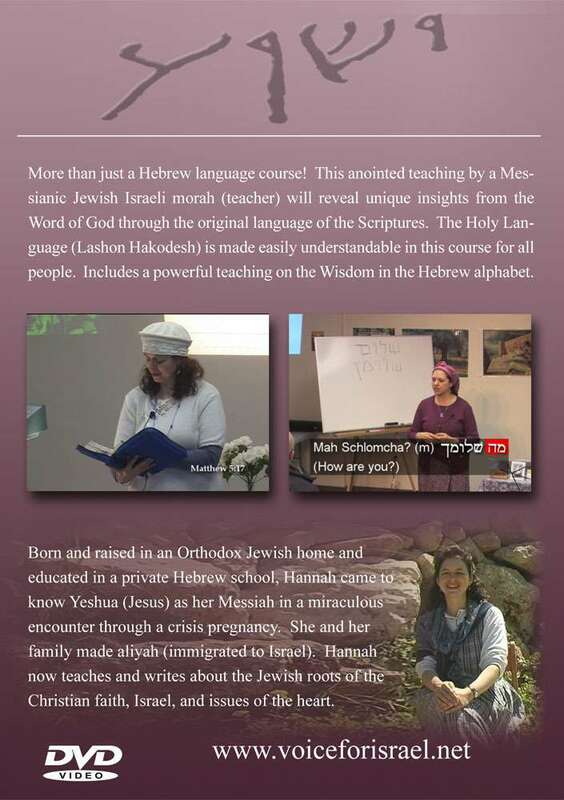 The Holy Language (Lashon Hakodesh) is made easily understandable in this course for all people. 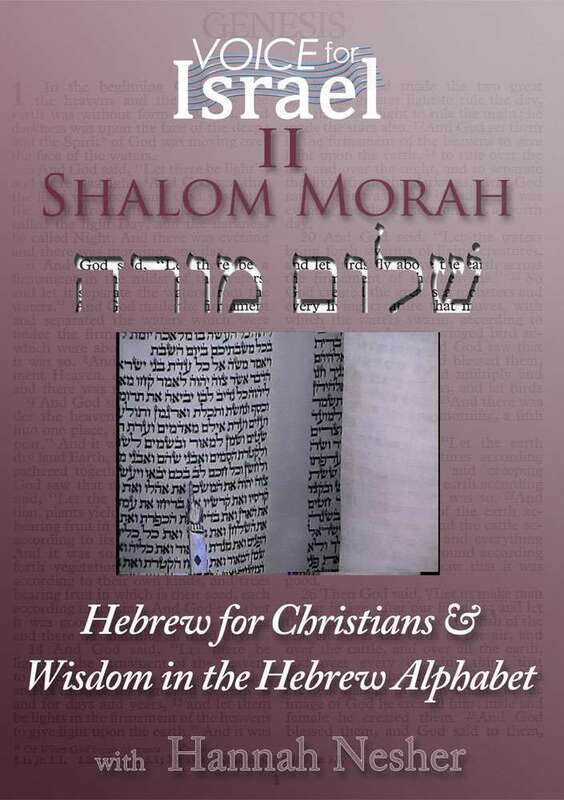 Shalom Morah II contains a discussion on Wisdom in the Hebrew Alphabet. Comes with a a 90 page exercise booklet with worksheets.